It's hard to be a member of our award-winning team. CEO Adam Steinhardt sets a frantic pace. Our benchmarks are global. We are inspired and driven daily to achieve for your business, based on the innovations flowing from the international digital world. We are working with one of the world's most progressive software companies, HubSpot. As such our team need to be fast thinking, quick-adaptors to change and able to instantly think of 10 great ways to make your business benefit from all the incredible digital advances we see daily. 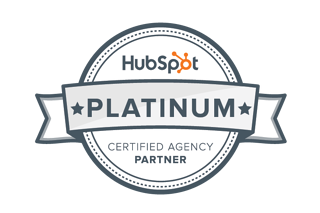 Our goal as a team is simple, we want to be the best HubSpot Certified Partner for your business. Our home base is Adelaide, but we are an international business, taking South Australia to the world. Our team is made up of a unique combination of web designers, graphic creators, content curators, social media experts, journalists, entrepreneurs, copywriters and interesting people, all thinking of fantastic content to make your business attractive on the internet. We work hard every day; we want to change the world and the incredible powers of inbound marketing and HubSpot gives us the tool to do that.